We were recently reviewing imagery of mine sites which experienced growth in 2017. We overlaid the mine permit boundaries that show where the government has legally granted companies permission to mine. We used our Landsat-based surface mining data to identify a set of candidate sites to examine more closely with higher-resolution Planet imagery through Planet’s Ambassadors Program. While looking at these sites, we noticed mining activity that seems to be occurring outside of permitted areas. 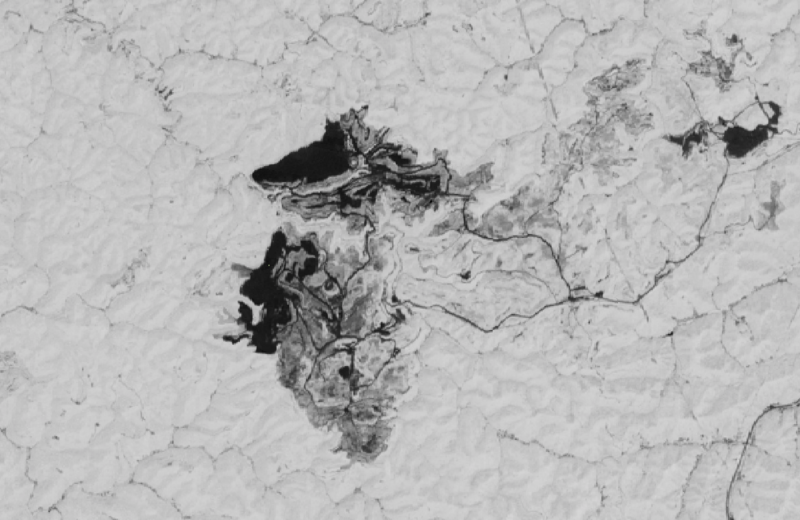 The Taywood West Mine as it appeared on a high-resolution Planetscope satellite image in July 2017. The mining permit boundary is shown in red; mining-disturbed land, based on SkyTruth’s analysis of lower-resolution Landsat 8 satellite imagery, is shown in orange and closely matches what we are able to see in this Planet image. Apparent mining-related activity outside the permit area is highlighted in yellow. 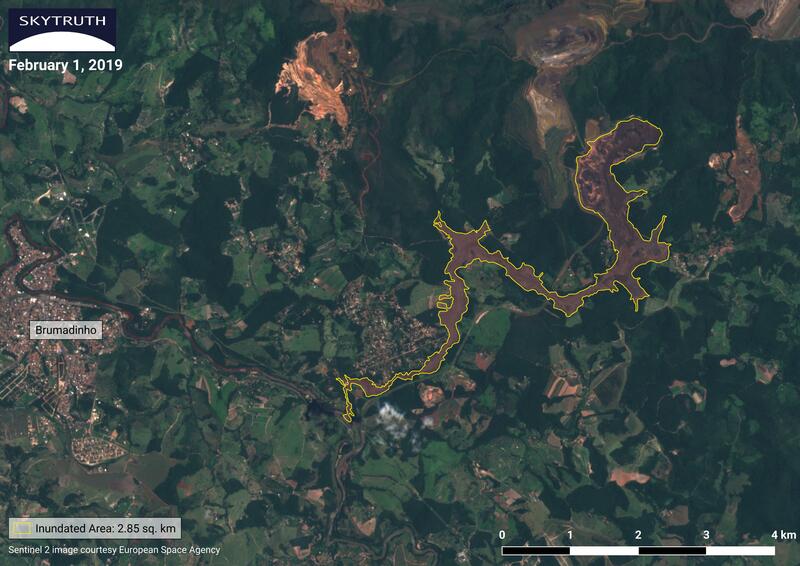 The mine site continued to expand after July; the image below shows the extent of mining on October 19. More land outside the permit boundary appears to have been cleared since July 30. The Taywood West Surface Mine is located in Mingo County, WV approximately 12 kilometers northeast of the town of Kermit and 76 kilometers southwest of the state capitol in Charleston. 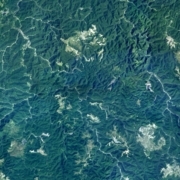 The Taywood West Surface Mine (pictured above) caught our attention when we noticed evidence of mining activity, which fell outside the mine’s permit boundary. 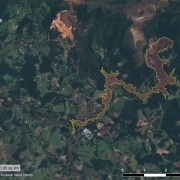 In the image, areas overlain in red show the extent of the mining permit; the bright areas of bare rock and soil on the image show where mining activity (cut and fill) activity has apparently occurred as of the date of the image (October 2017). Fifty-two acres of mining-disturbed land lie outside of the permitted area. According to permit data downloaded from the West Virginia Department of Environmental Protection (WVDEP), the permit for the Taywood West mine was issued to Southeastern Land, LLC in August 2005 and will expire in August 2020. A 2004 study conducted in West Virginia showed a surprisingly high degree of mismatch between permit boundaries and actual mining, but we thought the situation had improved since then. Now we are not so sure, and we’re wondering how widespread this problem is. Accurate assessment of the location and amount of existing mine-damaged land is critical for forecasting the cumulative downstream impacts of mining in deciding whether to approve permit applications for new mining. And it’s critical for planning and executing the extensive reclamation work this region needs to recover from the negative impacts of coal mining. Whose job is it to make sure miners stay within the boundaries of their mining permit? Some time has passed since we’ve written about our work mapping surface mining in central Appalachia, but rest assured, we’re still actively monitoring this devastating practice. Our mining work to date has focused on mapping the locations of these operations. Researchers, some of whom are using our data, are beginning to draw troubling connections between coal mining and the health of people living in communities near those operations. 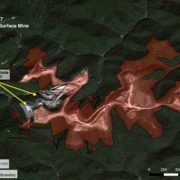 We are working to refine our mapping processes and enable new types of analysis to help understand the environmental and public health consequences of mountaintop removal mining. 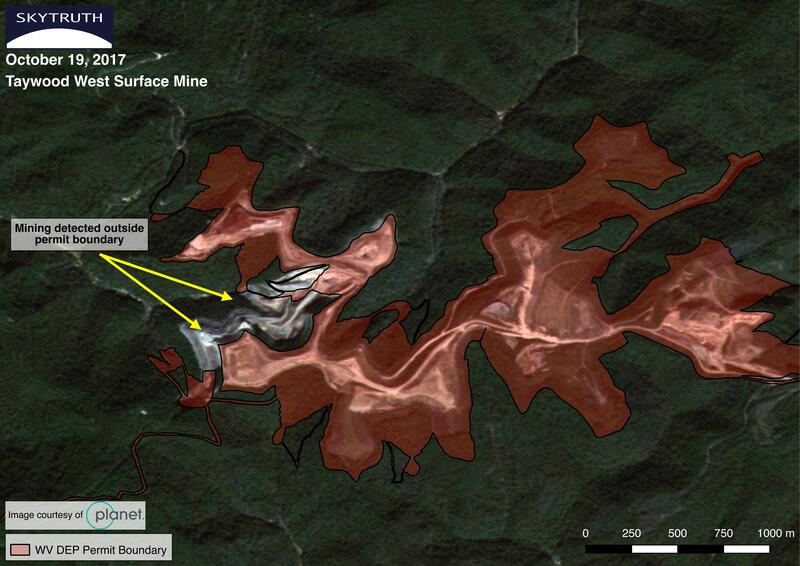 This NDVI image shows the Hobet 21 Coal Mine in West Virginia. 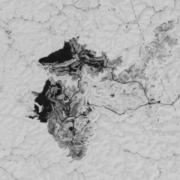 Vegetated areas are visualized in white, while bare earth is seen as dark grey or black. 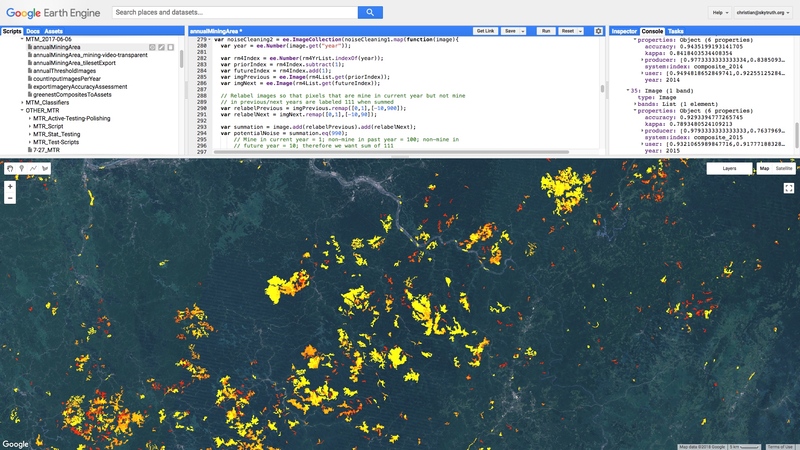 We are working with Dr. Matt Ross, an ecosystem scientist from the University of North Carolina at Chapel Hill, to improve our mining identification algorithm, and add the capacity to evaluate how landscapes affected by surface mining recover over time. This algorithm is an integral step in assessing the efficacy of the reclamation efforts undertaken by mine operators. We expect our mapping will allow researchers to conduct more robust studies on the long-term environmental and health impacts of surface mining, which in turn will help mining-impacted communities hold industry and government accountable for repairing the damage done to Appalachian landscapes, ecosystems and public health. We also hope the work will stimulate government investment as coal mining declines throughout the region, enabling a just transition to a new economy. The following slider compares one of the new indexes we are incorporating into our work, a Normalized Difference Moisture Index (NDWI), with NDVI at the Hobet 21 Coal Mine. NDWI measures the relative amounts of moisture present in landscapes, densely vegetated areas have high NDMI values, while sparsely vegetated areas or bare earth have lower values. By incorporating new indices we are gaining a better understanding of how the land is affected by these operations. It is worth noting, therefore, the low amount of moisture present across the mine, even in those areas which appear to be recovering in the NDVI.